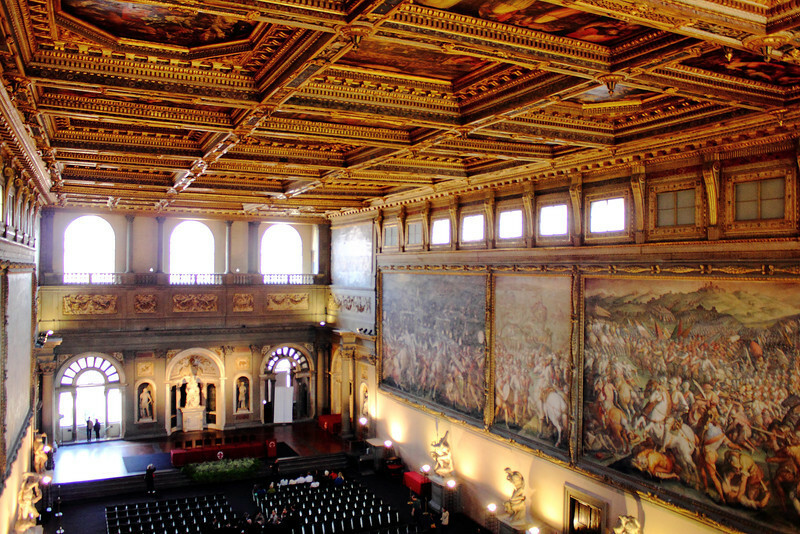 Amazingly large Grand Hall and paintings in Palazzo Vecchio, Florence. Pictures don't really capture anything in Italy, but especially this. Notice how small the people are toward the bottom left.